WooCommerce is a free E-Commerce plugin of WordPress that enables users to sell their products using the internet. It is designed to handle all sorts of online stores. It supports all sized businesses such as small, medium, and large. 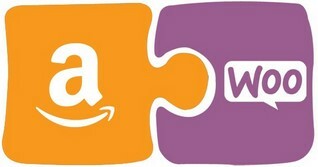 CedCommerce Amazon-WooCommerce Integration helps sellers to feed the product data from their WooCommerce store to amazon.com, and thus, connects it with one of the biggest e-commerce industry players. To cater to these businesses successfully, CedCommerce offers Amazon-WooCommerce Integration to help the store owners to sell WooCommerce products on Amazon. This powerful extension enables synchronization of product data, orders, and stock units. Profile Based Products Upload: Admin can create the Profile and assign it to the products for automating the upload procedure. Product Data Validation: The extension enables validating the product information in accordance with Amazon standard and values. Easy product upload: Admin can upload the Products at a single click when they are ready to upload. Bulk Uploading: To facilitate the uploading large number of products and to minimize the manual work, the Amazon marketplace API integration extension enables sellers to upload products in bulk. Feed status: Feed of all API requests made to Amazon are logged through which all details of that feed can be viewed. Inventory Management: Real-time Synchronization of inventory. Pricing: Enables admin to set Variable Pricing.